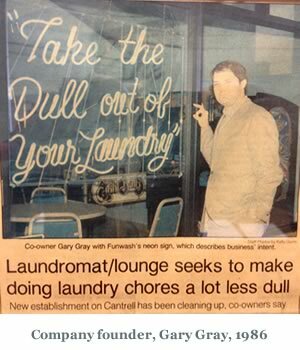 Founded by a Coin Laundry Association Lifetime Achievement recepitent, Gary Gray, Justin Laundry Systems is a second generation laundry company located in Little Rock, Arkansas. We have been active in the laundry industry for almost 30 years and offer a full line of commercial and industrial laundry equipment along with our award winning service. In fact, our staff has been recognized nationwide for their dedication and expertise in the laundry industry. In choosing Justin Laundry Systems you can rest assured you have chosen a reputable company that is insured, factory trained and fully recognized to operate in the state in which you reside.